The Big Green Egg craze has taken over the grilling world. Professional barbecuers, chefs and home grilling enthusiasts have fallen in love with the versatility and ease of use that comes from a Big Green Egg. On its own that kamado style cooker is a grilling machine that is sure to impress, but add an accessory or two and you have just opened up a whole new world. 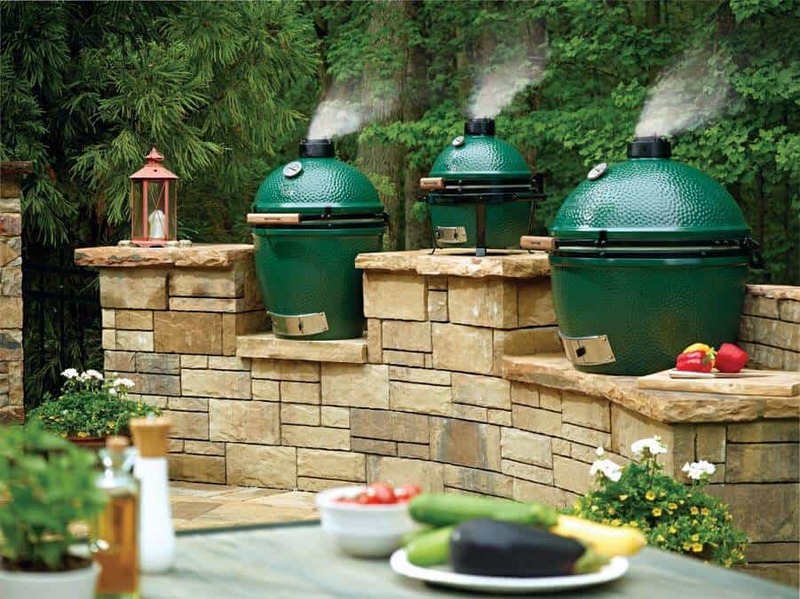 BGE offers a huge line of accessories that Egg lovers have dubbed “eggcessories”. From grill tables to cooking utensils they have thought of everything you could possibly want to complete your cooking arsenal. We have put together 5 of our favorite Eggcessories that every Egg owner should have at their disposal. The ConvEggtor is our first pick. It transforms your Egg from direct heat to indirect heat; which basically means that you can use your BGE like an oven. Now you not only have a grill and a smoker, but you also have an outdoor oven. Just imagine cooking your favorite casseroles and pies all summer long without heating up your kitchen. The door for dinner options will be blown wide open. With evenly distributed heat and the precise temperature control that Big Green Eggs are known for, you will love your Egg far more than your oven. A Big Green Egg pizza stone and pizza peel are up next on our list of must haves. Everyone loves a delicious slice of cheesy pizza with their favorite toppings. Cooking it on your BGE will add that rich flavor you would find in a pizza that has been cooked to perfection in a woodfired pizza oven. Pizza night just got a whole lot better with this Eggcessory. It sounds basic, but the V-Rack is another must have accessory for your Big Green Egg. The V-Rack is a porcelain coated rack that can be used multiple ways. When it is in the upright position it can hold large roasts and poultry. When you flip the V-Rack over you can use it as rib rack to smoke your ribs to perfection. Next up is the BBQ Guru. Part of what makes the BGE so great is its precise temperature control. This little gadget brings a little technology to the age old tradition of kamado style cooking. The BBQ Guru is a DigiQ DX2 temperature control system that holds the desired temperature in your Big Green Egg for hours on end. It even has a feature to gradually lower the cooking temperature so foods won’t overcook! The BBQ Guru is also simple to operate so you don’t need to be a techy to figure out how to use it. You could grill without one, but why would you want to? Our list wouldn’t be complete without cast iron cookware. Yep that old black cast iron that your grandmother used is a must have for your Big Green Egg. It gives you a huge variety of options. You can use it to saute veggies or cook breakfast one week and then sear fish and steaks to perfection the next. It is something you definitely won’t want to do with out. We know, you’ve made it this far without all of these things, but adding one, two or even all of these great eggcessories to your Big Green Egg, will help your Egg reach its full potential. 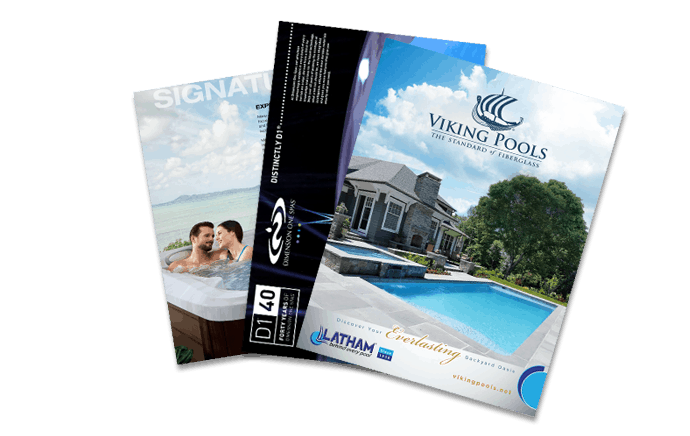 Stop by the Aqua Pools showroom and let us show you just how much potential your BGE really has!